In this hectic, busy world, sometimes as women we don’t get a chance to prioritize ourselves. With topics like mental health and self-care on the tip of everyone’s tongue lately, it’s time for women to put themselves first and take a breather from the everyday craziness! 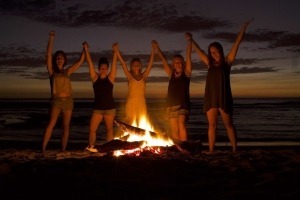 Rustic Mama Retreats Ultimate Girls Getaway is the perfect place for you to relax, refresh and reconnect with yourself and other fabulous like-minded women. Its good for the heart, the mind and the soul! You’ll have the chance to engage in a variety of amazing sessions such as yoga, sign making workshops, paddle-boarding, archery, tree-top trekking, dance parties and the opportunity to partake in workshops taught by talented guest speakers, all designed to be fun, exciting and allow you to relax and rediscover yourself. 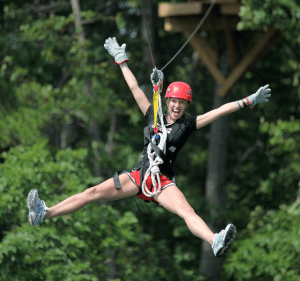 Camp Muskoka is nestled in the lush Boreal forest of the Canadian shield and their 400 acres of property features 3 private lakes, an archery range, a paintball arena, a natural rock climbing wall, and an 18 element canopy aerial course through the trees ending in a zip-line over water. There are extensive hiking, horseback riding and mountain biking trails and over 40,000 square feet of newly renovated indoor space. 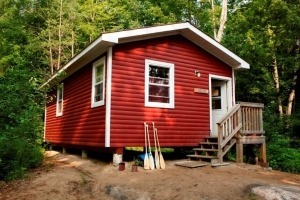 Accommodations at all Retreats include cozy, winterized, lakeside cabins with electricity, perfect for bunking down with girlfriends. 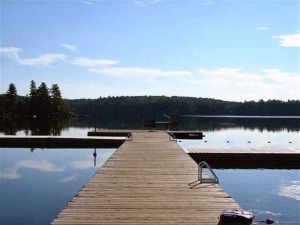 All have access to full washrooms with sink, showers and toilets. Most cabins accommodate 6-18 people so be sure to let us know if you have any cabin mate requests or come with a large group of friends and have a cabin all to yourselves! Remember to bring your own pillow and sleeping bag, and a flashlight to navigate to your cabin at night. Good food is important to us! That’s why our chefs work hard to provide amazing, nutritious and delicious meals throughout the weekend with both healthy and indulgent options! 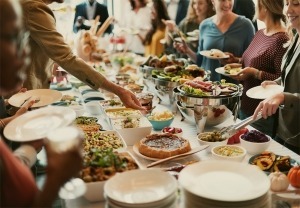 All meals will include a variety of mains, incredible homemade goods, vegetarian and gluten-free options and a delicious salad bar. Please be sure to inform us of any food allergies/intolerances or health issues you feel we should be aware of well before arriving at camp. Our incredible chefs and their staff can satisfy all special dietary needs, as long as we know in advance. Some wine and alcoholic beverages will be available during the evenings but feel free to bring your own beverages for consumption in your cabin. 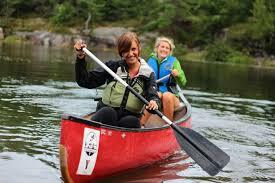 It’s always best to expect the unexpected in northern cottage country. Typical weather in Fall can include cool nights and the occassional sprinkle. Be sure to bring a warm jacket for night-time campfires and star-gazing, as well as a raincoat and rubber boots in case the rain gets the better of us! 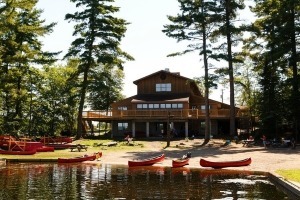 Bark Lake Leadership and Conference Centre is located in Irondale, Ontario.